Well, this helps explain the statement I’ve heard and read again and again that if you experience a high level of gratitude you cannot be depressed. This makes sense since depression is anger suppressed. Imagine a line with frustration in the middle. It can go either way- one end is depression(extremely suppressed anger) and the other is a high anger level – often in an inappropriate, aggressive way. The University of Maryland School of Medicine is researching the connection between anger and “unforgiveness”. Anger is a component of unforgiveness and anger is a health risk. Then is unforgiveness a health risk as well? Included in the research are studies with aids patients. Knowing more about the nature and course of anger expression in the context of unforgiveness will ultimately help define and clarify this area of research. Now I’ll share a few important points that can be helpful in letting go of anger- something I’ve learned as an Advanced EFTtapping (Emotional Freedom Techniques) Certified Practitioner in a training I attended and has been reinforced in my trainings to facilitate Anger Management. As the victim, it’s OK to forgive only a small percent. *** The other was doing what he/she knew how to do – perhaps learned – no matter. It’s impossible to change another person’s way of dealing; only your own. 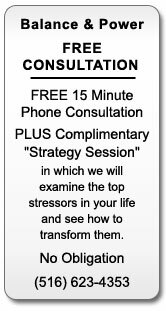 If you or someone you love gets help with managing anger and/or letting it go as a victim, then stress is automatically addressed and therefore health will improve too! Balance & Power, Inc. has been addressing stress and anger management issues for two decades, corporately and in the educational and private sectors, and is now facilitating Workplace Bullying Prevention trainings. Bullying in the workplace, the schools and at home has reached epidemic proportions – it is our goal to help eliminate these type of situations. I believe inner strength and being centered are keys to optimal productivity and happiness. I’m a Certified Anger Management Specialist accepted by the US courts, a former Biofeedback Practitioner and faculty member Hofstra University. My office is in Westbury, NY, the telephone, Video Skype or on your site. 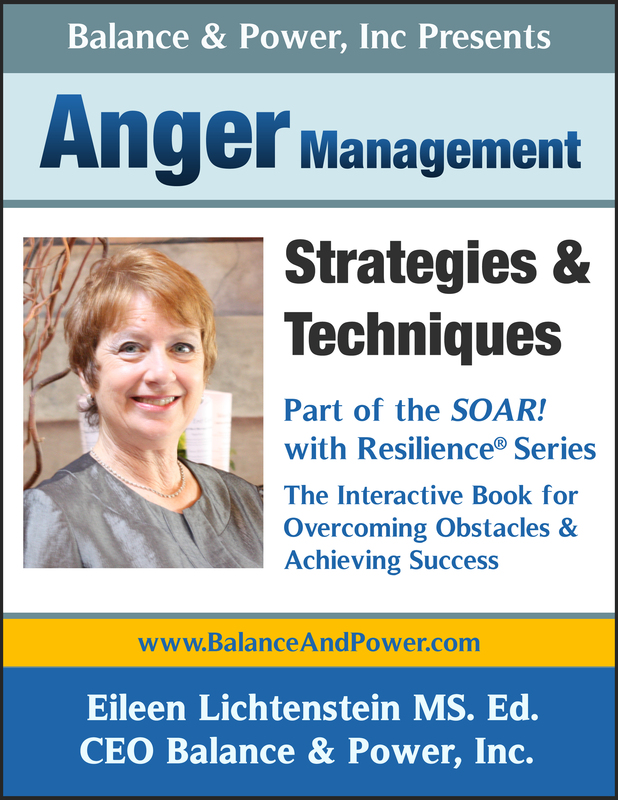 When you’re having difficulties with forgiveness or anger, success and career coaching, anger and stress management strategies, & EFT can turn it around! I’m a certified Anger Management Specialist-1 Fellow accepted by the courts. Imagination creates endless possibilities… Imagination + creativity +intuition + knowledge = success. Yes, I agree. Movement is instrumental to progress and being “run over”. OK- I think we all agree that before “quitting”, explore all options. And, to be aware of “the tipping point”. Sometimes, it’s indicated “to quit”. Before quitting, if it’s a project or action you are passionate about, brainstorm with a coach! Oh yes… and when your energy is down, or the weather isn’t cooperating, a quiet time and stretch-breathwork is a great way to start the day! This is love of a person, family and a formula for successful relationship and team building within any context. We strive to be/do this. …and love will come. Be open and accepting; it will find you. Self love must come first and more will follow.